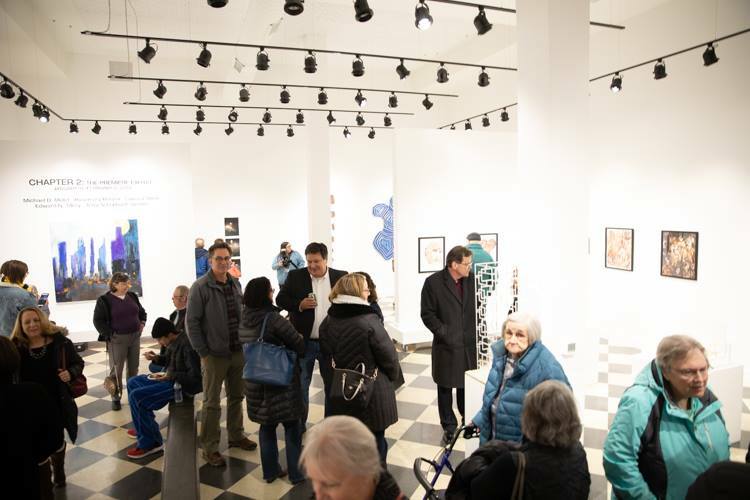 FLINT, Michigan — The new Buckham Gallery features a wide open space, clean and crisp lines, and a checkerboard floor. 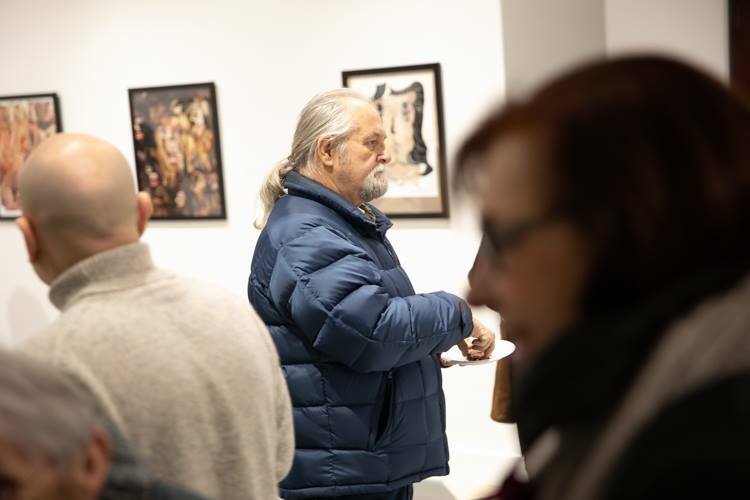 After more than 34 years, Buckham Gallery moved across the street and into its new location in the former Perry Drugs building at the corner of Saginaw and Second streets. 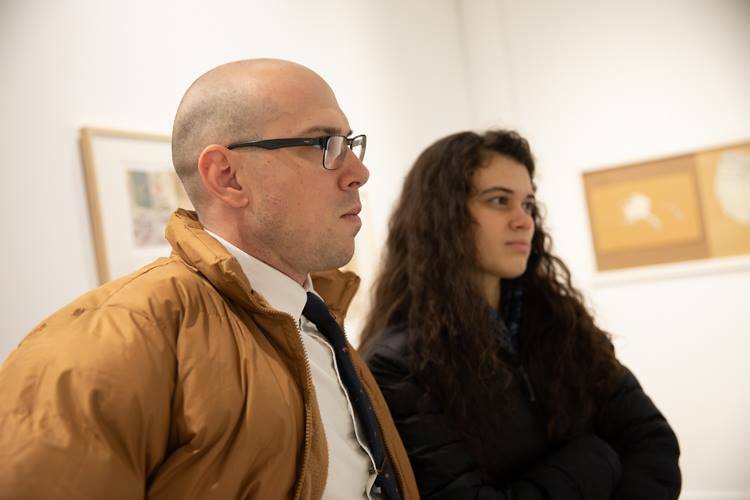 "This is an exciting move for us," said Michele Leclaire, exhibition director for Buckham Gallery. "It's a beautiful space. It has sort of a more professional feel to it." But, most noticeably, Buckham Gallery now is accessible to the whole community. The original location was up a steep flight of stairs and it had been looking to move for years. Buckham moved into its new space with help from the Charles Stewart Mott Foundation. 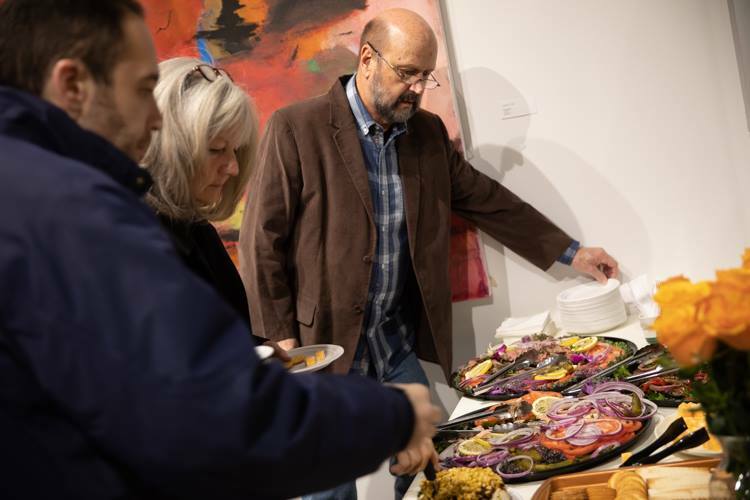 It is one of three businesses planned for the building, which is undergoing a $1.4 million renovation and also sits across from the recently remodeled Dryden Building as well as Applewood Cafe, a part of the new Mott Community College Culinary Arts building. The building with the curved facade also will be home to Elga Credit Union and KeLan Foard The Brand, a men's clothing and grooming shop. 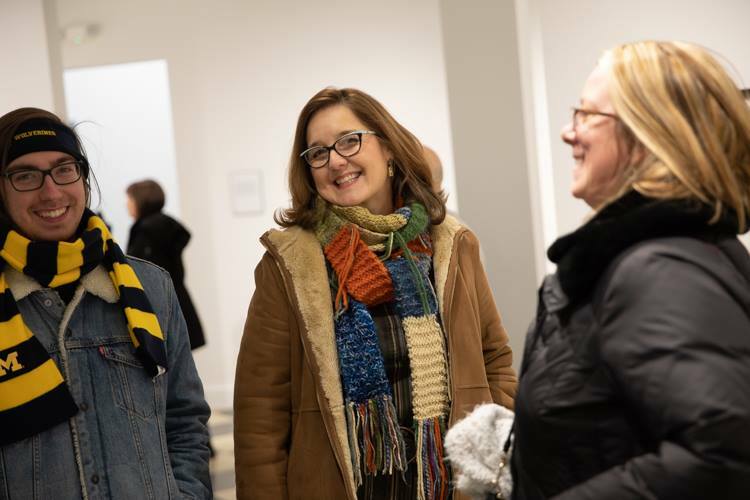 More than 550 people attended the opening night of the new Buckham Gallery space in downtown Flint. The new location is across Second Street from the original Buckham Gallery location. 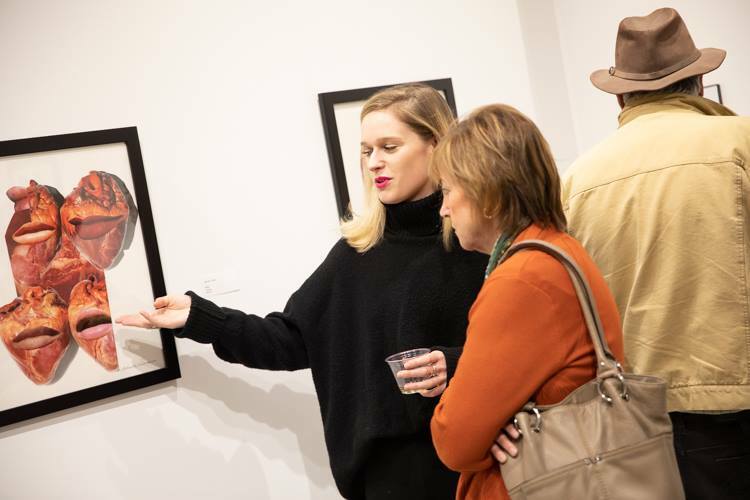 Founded in late 1983 by a group of Flint-area artists looking to create a space for art and performances, the gallery has become a staple of the Flint arts scene and a pillar of the monthly downtown Flint Artwalk. The space features moveable walls to allow each exhibit to be customized. Buckham Gallery is one of three businesses with locations announced in the former Perry Drugs building. The new location sits next door to the new Mott Community College Culinary Arts building. Read more articles by Mike Naddeo.